Gwendolen originally qualified as a Nurse and Midwife, leading ultimately to a clinical and academic career. She achieved graduate and post graduate awards at the University of Surrey, the University of Sheffield, the University of Leeds, culminating in completion of Doctoral Study at the University of Huddersfield. 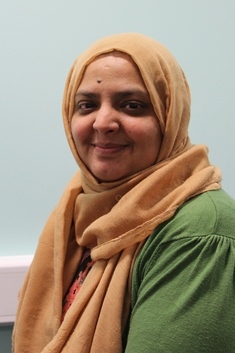 Her career thus developed from the caring health service career grades to one in academia where she was variously Dean of Health Studies and more recently Pro-Vice Chancellor for Learning, Teaching and Quality at the University of Bradford. Gwendolen has published and spoken widely on midwifery matters specifically and she is currently chairing the Review Group re-writing the Standards for Pre-registration Midwifery Programmes for the statutory professional body, the Nursing and Midwifery Council. Her broader remit is however dedicated to improving the overall student learning experience. To this end, she has recent experience of a successfully completed submission for the UK Teaching Excellence Framework. In addition, she has extensive working knowledge of the Quality Assurance Agency and her work in learning and teaching enhancement attracts international attention. 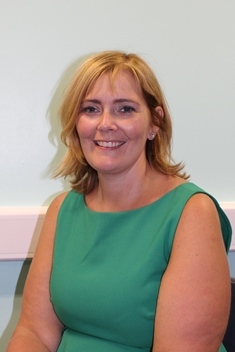 Gwendolen is a Governor at Killinghall Primary School Bradford and her passion is Quality, Learning and Teaching. Gail is Company Director of her own management consultancy which primarily focuses on the education sector. Her career started in marketing and communications nearly twenty years ago, and she has managed national 14-19 programmes as well as implemented major construction programmes at schools across the North of England. Gail is married with a teenage son and two dogs who all keep her very busy! She also follows Speedway (a motorsport where riders race at 80mph with no brakes), and likes socialising with friends and cooking new dishes. Gail became a Governor in order to give something back to the community the Academy serves. Her husband is from Keighley, he and family members came to school here and it is important for Gail to try and share knowledge and skills to help benefit the young people and families of Keighley. 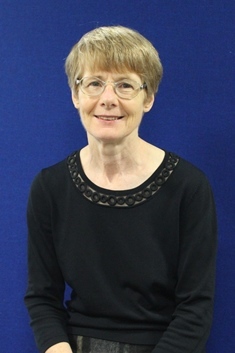 Shirley Congdon is Deputy Vice-Chancellor (Academic) at the University of Bradford. Her portfolio carries responsibility for the strategic development and oversight of the Academic strategy, the standard and quality of learning and teaching and the student experience. Shirley is passionate about the student experience and committed to creating excellence in learning, teaching and research. She believes that the cultivation of an environment in which students and staff are supported to be creative and outstanding and requires the development of a culture that values and actively promotes diversity. Having pursued a successful career in Nursing Shirley has worked within the field of higher education for 24 years. During this time she has held senior roles in several Higher Education Institutes including Director of Academic Development, Dean of Faculty of Health Studies, Pro-Vice-Chancellor (Learning and Teaching) and more recently Deputy Vice-Chancellor (Academic). Her professional and academic expertise lies within the area of health and social care service modernisation & cultural change, research methods and evidence-based practice. Shirley’s expertise in Health Care modernisation led her to a two year consultancy post in the Department of Health. 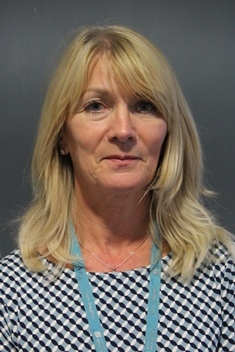 Shirley is a stakeholder Governor at Bradford District Care Trust, a Governor of Leeds College of Art, a Trustee of Keighley Academy and a member of the Governing Body of Bradford Grammar School. She is a Fellow of the Higher Education Academy. 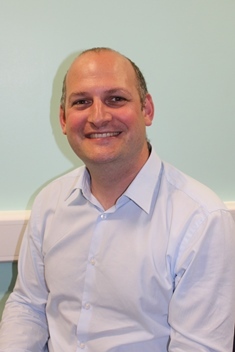 Phil is an experienced senior public sector manager who has worked in Bradford for over 15 years. He has worked in the education sector during his time in Bradford. His background is as a labour market economist and economic development manager in the Learning and Skills Council. In 2010 he started working for Bradford Council where he works today in the education department. Outside of work I have a young daughter who is at primary school and I enjoy most sports, hiking and camping in my spare time. 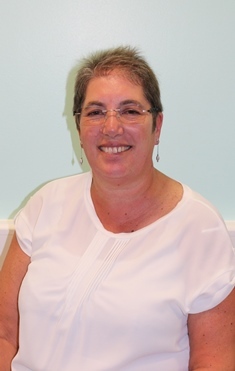 Margo is Deputy Human Resources Director (acting) at the University of Bradford. As an experienced HR/OD senior manager working for over 25 years in the public sector she is passionate about developing staff to deliver improved outcomes for service users. Margo has expertise in defining, shaping and delivering significant change strategies across the public sector. And experience in building strong partnerships nationally, regionally and locally with the aim of modeling the values and behaviours of collaboration and partnership working. Margo is an experienced school governor and has been nominated as a governor for UAK by the University of Bradford. She is very much looking forward to supporting UAK. Naz has over 30 years experience of working with the South Asian community. She has worked closely with communities, statutory and voluntary organisations designing, developing and delivering innovative programmes and research projects . Some of the projects have focused on addressing social inequalities ,which overlap with health, environment and education. 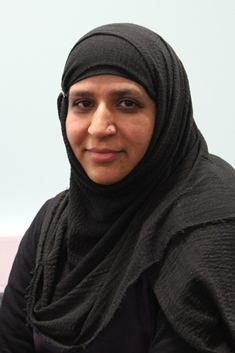 Naz has lived in Keighley most of her life with her family and a former pupil of Greenhead Grammar School. 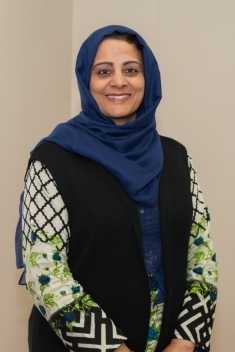 Naz is a nominated Governor from the University of Bradford and has always been passionate, interested and dedicated to children, their education and welbeing. Over a career in education spanning 38 years, I gained significant experience of, and expertise in, every aspect of school life, finishing my career in the teaching profession as a Senior Leader for the final 15 years. Although now having recently retired from the profession, I believe I can still ‘make a difference’ to the lives of young people. So, having recently moved to the area from London, I am looking forward to serving as a Governor and supporting the school’s endeavours in any way I can. 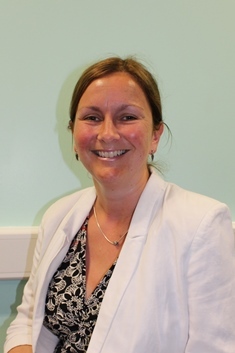 Joanne Marshall was appointed as Director of Human Resources and Organisational Development at the University of Bradford in December 2013. She oversees the University’s Human Resources, Organisational Development and Health, Safety and Wellbeing Services and is passionate about people. Her aim is to provide first class, supportive and innovative professional leadership, expertise and services to help drive delivery of the University’s mission, objectives and business plan. 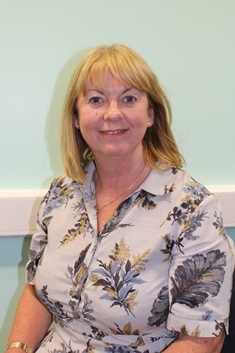 Joanne has worked in Human Resources within both the private and public sectors, for over 18 years and is originally from a nursing background, bringing a wealth of knowledge and experience to support Bradford in its transformation agenda. In 2009, Joanne was awarded NHS HR Director of the year and in 2015 she was awarded European HRD of the year (not for profit) by her peers in HRO Today Magazine. Joanne joined the Board of Governor’s for University Academy Keighley (UAK) in 2016 and followed on to become Chair of Governors in June 2017. Joanne believes that by working together we (University and Academy) can create a high achieving partnership, that places UAK’s welfare, resilience and preparation for future life at the heart of a shared purpose. She is also currently the Vice president for HPMA, has been a local school governor for over 6 years and is the Director of a local drama group for children aged 8 – 18. Joanne is married and lives on a working farm with her husband and two children. 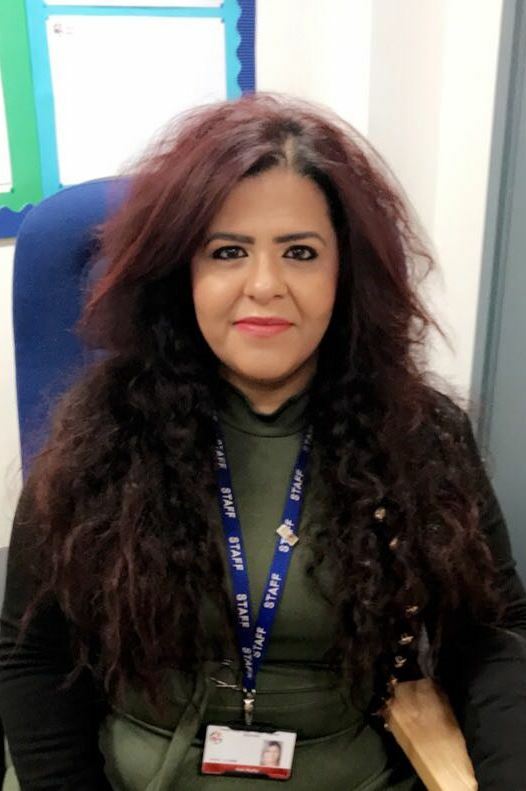 Aziz has been a member of the school since January 2002, starting as the receptionist and working her way up to her current role of Pastoral Manager. Aziz has been in this role since 2006, helping support the Pastoral Team and leading on attendance, the academy’s attendance is better than the national average. Prior to working at the academy, Aziz worked at North Street Surgery. Aziz was born and raised in Keighley, she is a pillar of the community and very well known. Aziz has become a Governor for the academy because she is passionate about giving back to the local community and the academy. Aziz’s hobbies include travelling, shopping and dining out. If you would like to contact our Governors please do so via the academy. N.B. Members of the Governing body are also Trustees of the Academy.